Apple has blocked the use of Gevey SIM in the recent update to the iOS 5 beta, so there’s no reason to update your iPhone to iOS 5 beta if you’re an unlocker. 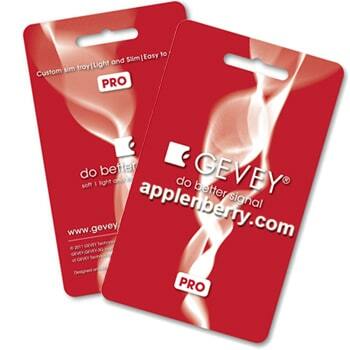 If you don’t know what Gevey SIM is, Gevey SIM is currently the only way of unlocking the iPhone on any baseband, it can unlock BB 01.59.00, 02.10.04, 03.10.01, 04.10.01 and 04.11.04. This method of unlocking works on any iOS baseband, until now, iOS 5 Beta 2. The confirmation of this comes from jailbreak hacker MuscleNerd who tweeted that Apple closed Gevey interposer hole in iOS 5 Beta 2 rather than waiting for the final release. So you should wait and be very careful if you’re using an unlocked iPhone. I would stay away from any updates unless you’re officially unlocked.